So here's a review of a product made by Superdrug that I found while in London. And the review is, well, GOOD! It's always a good day for me to be able to give a good review of a product. Superdrug is sort of like what Walgreen's is here in the States. 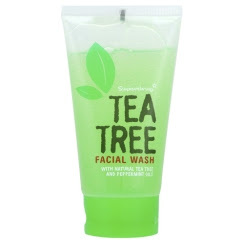 This product is a simple face wash gel with natural tea tree oil and peppermint oils. So let's get started with the nitty gritty . . . Ingredients: Water, Sodium Laureth Sulfate, Acrylates Copolymer, Ammonium Lauryl Sulfate, Cocamidopropyl Betaine, Glycerin, Sodium Chloride, PEG-20, Glyceryl Laurate, PEG-7 Glyceryl Cocoate, Triethanolamine, Menta Piperita, Melalaleuca Alternifolia, Benzophenone-4*, Disodium EDTA, Triethylene Glycol, Benzyl Alcohol, Propylene Glycol, Methylchloroisothiazolinone, Methylsothiazolinone, Magnesium Nitrate, Colors, Limonene. So, as far as the ingredients go, this is pretty much a typical face wash gel. The Sulfates/Betaine are the "soaps" in this product that wash and bubble. Since I don't like the color brown, I decided from now on I'll just highlight ingredients that I don't like in brown :-) As you see above, not too crazy about the use of the brown highlighted ingredients. And from reading this blog you know all about the glycols right? If not, read this post here. Overall, I'm not convinced about the use of Peppermint, it has been shown to irritate the skin, but it may actually also have some benefit for the skin though, so the jury is out on that. I also don't care for the use of benzophenones in this product either. (Again, click here for my post on benzophenones). On the other hand, the Tea Tree Oil is a definite plus. Tea Tree Oil is a natural antiseptic and is also good for oily skin. It has been used for ages, it's safety is well-proven as well as it's benefits. So, I am very happy to see it used in this product. How much is really in there, who knows, but certainly you can smell it in the product! Tea Tree has a scent all it's own, once you smell it, you won't forget it anytime soon. But what stands out in this mix?!?! And is what contributes to my favorable review . . . THERE IS NO ARTIFICIAL FRAGRANCES! Congrats on that, since this is a rarity in skincare products. I have to say better than most expensive face washes I have used. This product does a great job as far as cleaning the skin goes (and hey, it does have a bunch of different "soaps" in it so it should!) 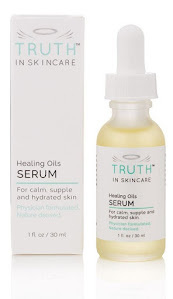 and if you want to combat oily skin, I have to say it does an excellent job. Excellent. Can't really find a face wash today for much less than the price of this product. The main reasons why I gave this a good review was for the fact that there are no artificial fragrances in this product and the price. Good Job to Superdrug for a good product, especially at the price. Thanks for the review. I saw this face wash yesterday and I checked the ingredients and looked up for some reviews of the product on the internet. That's what I do before I actually buy the item.